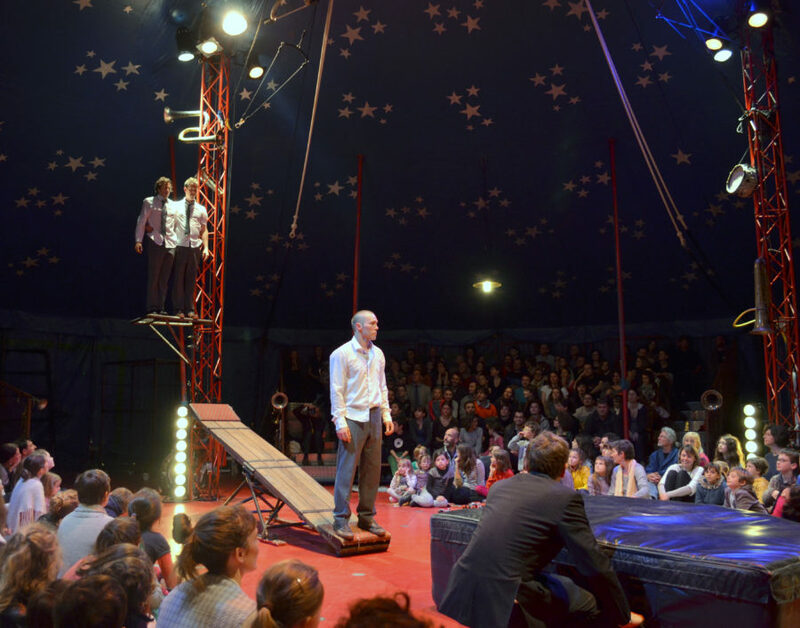 After two sold out tours of Opus 7 in 2016, the talented musician-acrobats of Circa Tsuïca return to the UK with Now or Never, a bigger and bolder version of their signature brass meets acrobatics fusion. 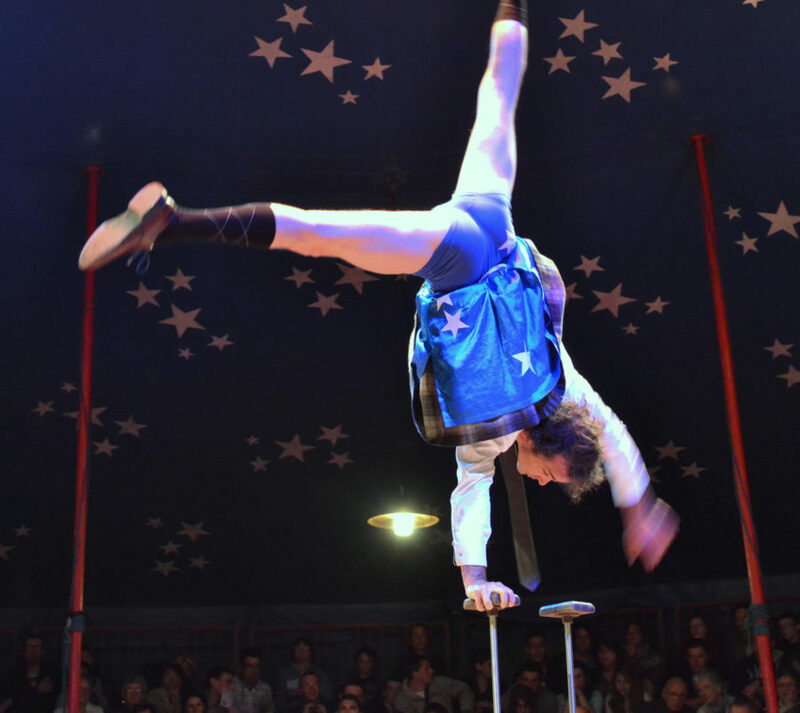 Under an impressive star-studded red and white big top, audience members are invited to share a crêpe and a glass of wine with the performers. 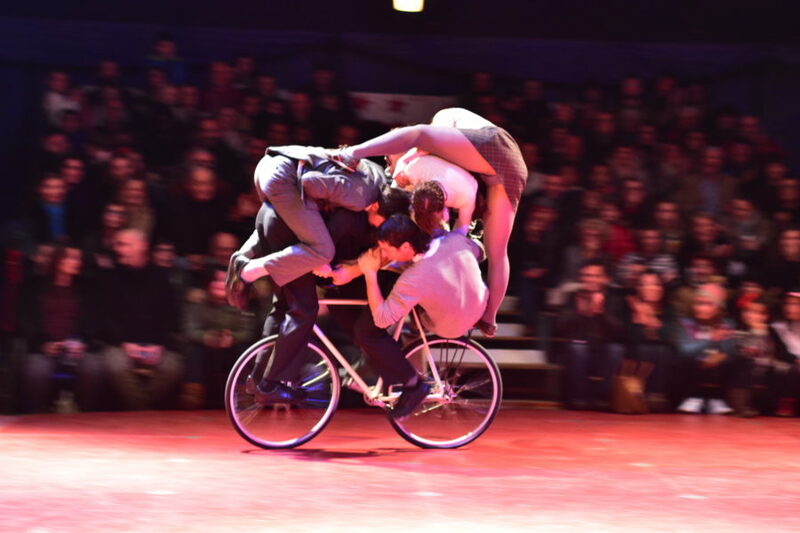 It’s like a party that becomes a show: to the sound of Balkan jazz, the 11 French performers amaze the audience with acrobatic cycling, hand-to-hand, teeterboard and Cyr wheel. 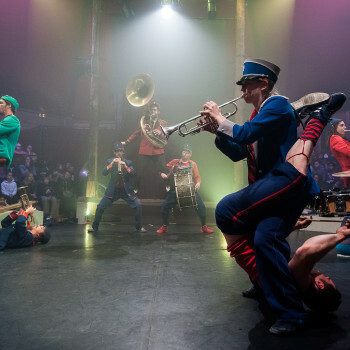 Now or Never will be unique to each city the company visit: in the months leading up to the show, they will collaborate with local brass bands, exchanging skills and perspectives. 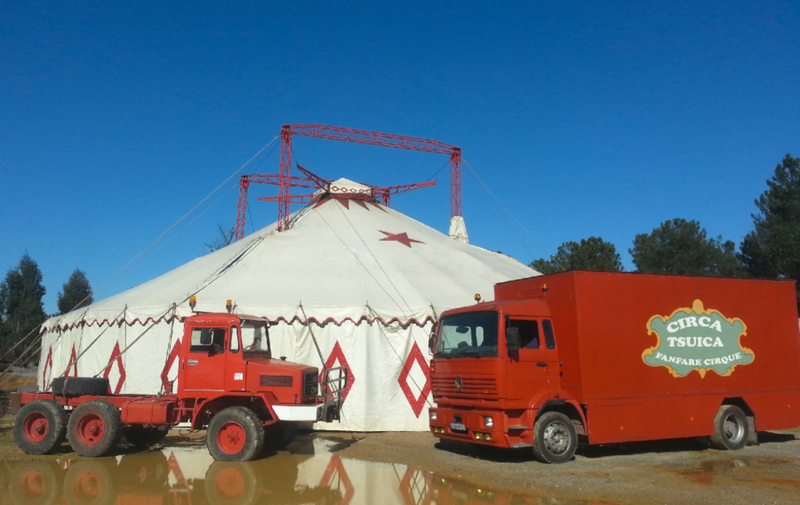 When the circus finally arrives in town, those local musicians will be part of the show. This tour of Now or Never is supported by the Arts Council England’s Ambition for Excellence programme. 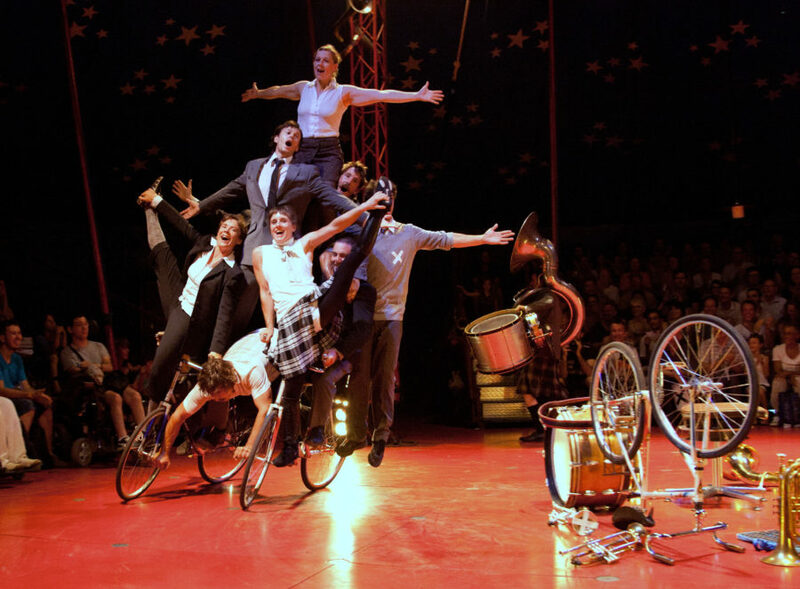 A special event in a tent during the 250th anniversary year of the birth of the modern day circus. Local interest: local brass bands will be performing with the company on stage. 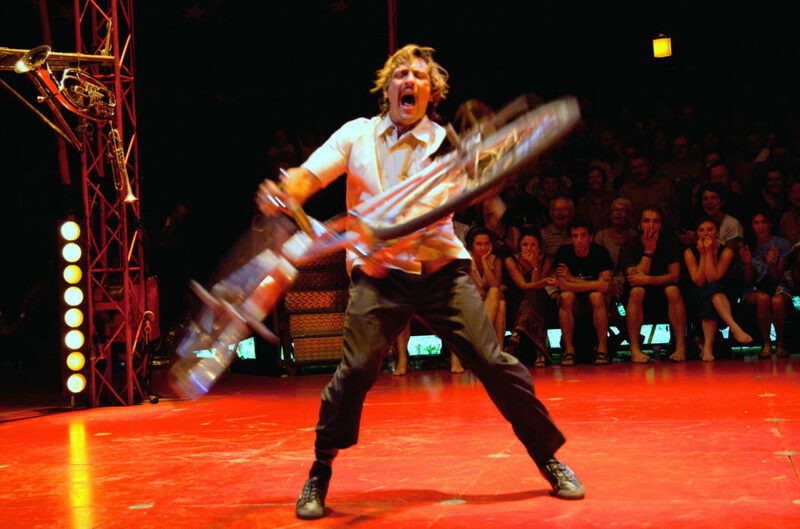 Great music and entertaining circus skills. A really memorable night out. This show is suitable for all age ranges.